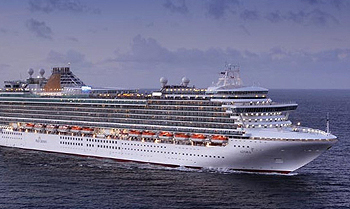 View all Azura cruises or view more options for P&O UK cruises. There’s never a dull moment on board Azura, when it comes to entertainment and things to do weve something for everyone. With cabaret performances, stand-up comedy, interactive game shows, quizzes, aerial flying acrobatics and talent shows, it’s sure to be an evening to remember. The exotic vibe of Malabar is inspired by the contemporary hotels on Marine Drive, Mumbai. With piano recitals, cabaret, bands and dancing, it’s the perfect place to while away the evening. Imagine watching a film under a starry, night sky, while you’re being magically transported to another new destination. There are plenty of daily activities on board to keep you busy with bars, pools, sports venues and shops, or you can relax by the pool or catch a film in the open air cinema. There’s also the opportunity to visit the Select Dining venues of Sindhu, the first restaurant at sea from master of spices Atul Kochhar; Epicurean, where a sense of occasion is always on the menu; and The Glass House, a wine bar and restaurant created in partnership with award-winning wine guru Olly Smith.